Perrys Motor Sales is an award-winning dealer group with over 100 years’ worth of experience selling cars. This longstanding company sells cars and vans and has sites across much of England. The business specialises in the sale of new vehicles from its key franchises and used vehicles made by these marques alongside a wider range of other brands. At Perrys Motor Sales dealerships, customers can enjoy a selection of other services other than vehicle sales. It conducts MOTs, has servicing and maintenance facilities and supports the Motability scheme for disabled drivers. A car and van rental service is also offered by the company. In 1908, company founder Harold Perry launched the business. 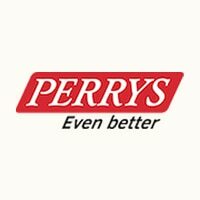 Perry had previously worked for the UK’s main Ford distributor and used his connections to secure a deal between Perrys Motor Sales and the renowned American manufacturer which still stands to this day. The company won two prestigious accolades at the AM Awards in 2016. Perrys Vauxhall Doncaster won the award of ‘Best Used Car Performance’ and the wider company was awarded the award for ‘Best Use of Social Media’. Across its dealerships, the company sells a range of new cars from its 14 franchise brands – Vauxhall, Peugeot, Ford, Citroen, Mazda, Kia, Abarth, Nissan, Hyundai, Renault, Fiat, SEAT, Dacia and DS. A large number of used cars from other makes – such as Audi, BMW, Fiat, MINI, Nissan and Vauxhall – are also available. New and used vans from Citroen, Volkswagen and a variety of other manufacturers are stocked at Perrys Motor Sales outlets, too.